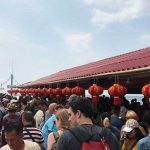 Nearly 5 million visitors at home and abroad flocked to major destinations in Cambodia during the traditional New Year festival Chol Chnam Thmey 2019 from April 14-16, up nearly 70 percent year-on-year. 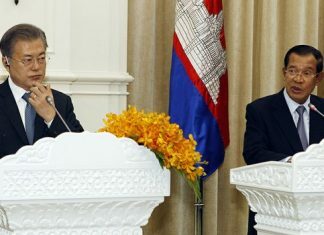 Cambodia plans to step up cross-border trade activities and has begun talks with neighbouring countries to intensify trade ties, Cambodian Prime Minister Hun Sen said on April 2. 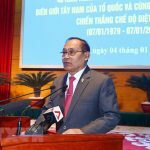 Head of Vietnam’s Government Committee for Religious Affairs Vu Chien Thang said he wishes that the Cambodian Ministry of Cults and Religion would create favourable conditions for overseas Vietnamese following Buddhism and Caodaism in the country to join religious activities. 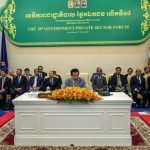 Cambodian Prime Minister Hun Sen has announced plans to reform the nation’s economy on a large scale with a 17-point strategy, aiming to stimulate growth and save the private sector some 400 million USD per year in costs. 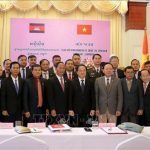 The Khmer-Vietnam Association in Cambodia will continue to keep a close watch on the situation of Vietnamese Cambodians, especially those in Kampong Chhnang and four other Cambodian provinces adjacent to Tonle Sap Lake. 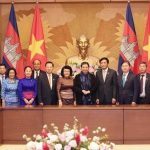 The National Assembly (NA) of Vietnam always prioritises its relations with its Cambodian counterpart, NA Vice Chairwoman Tong Thi Phong has said. 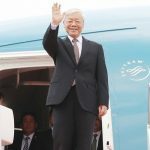 General Secretary of the Communist Party of Vietnam (CPV)’s Central Committee and President Nguyen Phu Trong will pay an official friendly visit to Laos from February 24-25, and a state visit to Cambodia from February 25-26, an announcement from the CPV Central Committee’s Commission for External Relations has said. 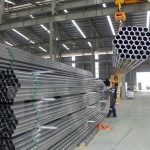 Cambodia has unveiled several measures to support local manufacturers and exporters in case the European Union (EU) decides to temporarily strip trade preferences from the country, according to China’s Xinhua News Agency. 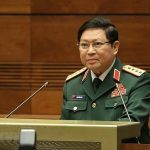 Cambodian Defense Minister Gen. 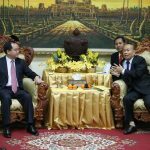 Tea Banh will meet with his Thai counterpart Gen. Prawit Wongsuwon this week to discuss cooperation along their border, according to a statement released by the Cambodian Defence Ministry on February 11. 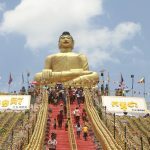 Cambodia welcomed approximately 1 million domestic and international visitors during the 2019 Lunar New Year holiday, up 8 percent against the same period last year. 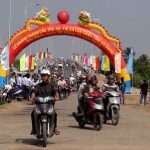 Tan An Bridge that helps connect the Mekong Delta province of An Giang with Cambodia was inaugurated on January 30. 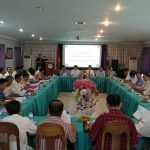 A conference to exchange experience in religious affairs between Vietnam and Cambodia kicked off in the Central Highlands province of Lam Dong on January 11 as part of a cooperation agreement between the Government Committee for Religious Affairs and the Cambodian Ministry of Religions and Cults. 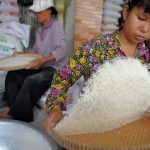 Vietnam’s exports to Cambodia exceeded 3 billion USD last year, setting a record high in a decade and opening up opportunities for local firms to capitalise on untapped potential of the neighbouring market, statistics show. 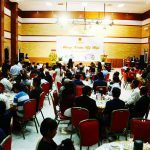 The country and people of Cambodia always bear in their mind the great and unforgettable support from the Vietnamese Party, State, Front, army and people in liberating Cambodia and helping the people get out of the genocide tragedy, a leading Cambodian official has stated. 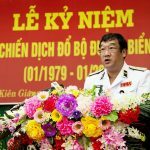 Defence Minister Gen. Ngo Xuan Lich is leading a high-ranking military delegation of Vietnam to make an official visit to Cambodia from December 27-29. 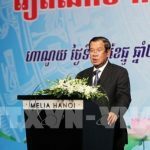 The Vietnamese army was instrumental in defeating the Khmer Rouge regime, changing history in Cambodia, according to Executive Director of the Documentation Centre of Cambodia Youk Chhang. 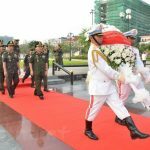 A ceremony was held in southern Kien Giang province on December 24 to mark the 40th anniversary of the Ta Lon landing-by-sea campaign – a milestone in the victory against the Pol Pot genocidal regime in Cambodia. 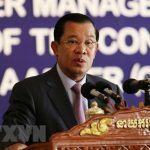 Cambodia's economy is predicted to stay robust in the short and medium terms despite the uncertainty of preferential tariff system granted to the country by several trading partners, according to Cambodian Minister for Economy and Finance Aun Pornmoniroth.